Unpuddle paddy farming has been gaining popularity in the drought-prone Barind area in the last couple of years. Nawshad Ali, 45, a farmer of Rajarampur village under Godagari upazila, has cultivated BRRI-Dhan 52, a drought-tolerant and short-duration paddy variety, on one bigha of land without puddling this season. He harvested the paddy a few days ago in presence of field level officials from the Department of Agriculture Extension (DAE). Nawshad told BSS that he got 24 mounds yield from the farming field at a cost of only Taka 2,500. He got profit after adopting the new method. Jalal Uddin, sub-assistant agriculture officer, said they are encouraging and motivating the farmers towards unpuddle paddy farming in transplanted Aman season to mitigate the water-stressed condition. Farmers cultivated paddy on more than one hectare of land during the current season. While sharing views, some other farmers said they have started unpuddle paddy farming because it gives better results than the conventional method and saves water and labour. Majority of them were satisfied with the method that it is profitable and labour saving. After getting better yield the farmers have become interested in cultivating paddy in the coming years. Shafiqul Islam, upazila agriculture officer, said large-scale promotion of unpuddle paddy farming process can lessen the pressure on groundwater in Barind area. HE SAID unpuddling is the viable option to reduce the unproductive water flows. Water scarcity, common rice cultivation and increasing labour wages trigger searching for such alternative crop establishment methods which canincrease water productivity. 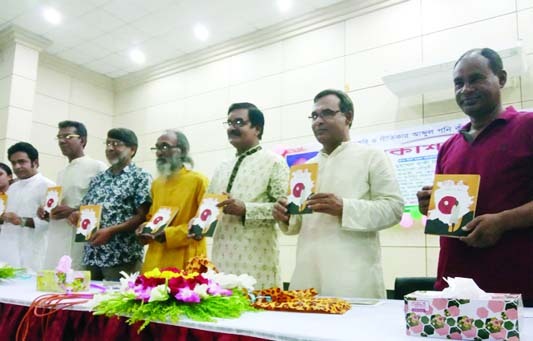 Shakhawat Hossain, team leader of OFRD (Barind Station), said there has been an enormous prospect of bringing harvesting intensity coupled with increasing food production through a successful promotion of the Aush-Aman-Lentil-Mungbean cropping pattern. To maintain a sound soil health, it could be advisable to grow rice especially Brridhan52 using a different system in order to improve compatibility between monsoon rice and upland winter crops. prospects of food security along with mitigating the crises of irrigation water. economic importance of the winter crops over monsoon rice. 'We are arranging training and other motivational programmes for the farmers to adopt the cropping pattern to boost agricultural production through the best use of modern technologies to feed the gradually increasing population," he added. Terming the development of some drought-tolerant paddy varieties a demand of the time, Hossain says that the varieties have started contributing a lot to ensure food security. Sharing their experiences, two female farmers - Rawshan Akhter and Naznin Begum - told BSS that the varieties have brought enormous benefit for them in cultivating rice in drought prone rain-fed environment. They have urged the authorities concerned to remove the existing seed crisis of the varieties to encourage more farmers towards cultivating those. By virtue of early harvesting characteristics the varieties supplement the farming of various Rabi crops like tomato, brinjal, mustard and vegetables as the region is conventionally famous for farming these crops abundantly. 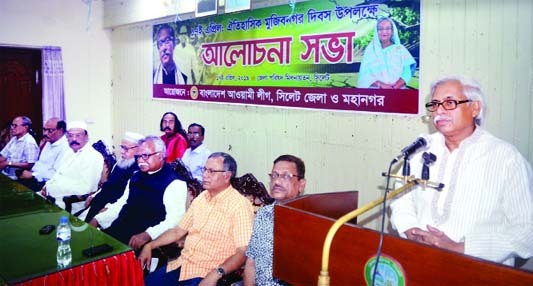 "We have been urging the farmers to promote unpuddle paddy farming to address the existing water-stressed condition in the high Barind area," said SM Mustafizur Rahman, additional director of DAE. avoiding paddling operation in present context of climate change. He put emphasis on devising way and means to promote unpuddle transplanted rice as it not only minimizes using of water but also reduces production cost and increases profit.